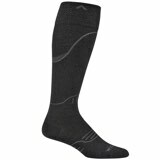 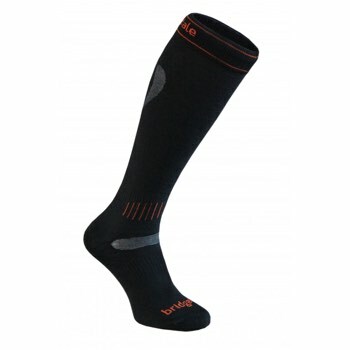 Avoid ski sock migration and awkward bunching with the Bridgedale Ultra Fit Ski Socks. 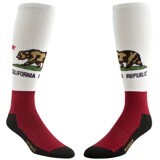 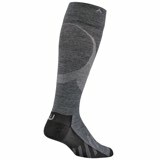 Some lightweight socks drift down your leg in the middle of a black run, but luckily this sock has a graduated compression fit that holds itself in place on your calf without cutting off circulation. 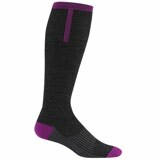 The merino wool blend absorbs moisture from your skin and wicks it away so your feet have room to breathe, and their Merino Fusion technology prevents blisters from forming after a day at the terrain park or a backcountry trek.